Save $5 off of $30 at Buy.com when you use Google checkout. Good through 11/30. Heads up, because Tillamook Cheese never issues coupons. Go on over to the Tillamook FB page and like them, and then click on the coupon tab for $1 off any one Tillamook Cheese, 8 oz. or larger. For those of you who keep kosher, their medium cheddar cheese is under a reliable hashgacha, and my husband, who is a real cheese connoisseur, claims it is the best kosher cheddar available, period. Here, coupon good from 11/26-11/28/10. If you don't already know, Buzz Club members save up to an additional 20% all the time at Big Lots and it's free to join. Use coupon code SYWRTHANKS. Good today only, 11/24/10. 50% off one item at Chadwick's with purchase of two items. Enter code CHNOV502 at checkout. Expires 11/29/10. Coupon is here. Good until 11/29/10. AMF location-finder is here. Another great Amazon popular dvd deal: Get the Slumdog Millionaire dvd for only $4.99 on Amazon (eligible for Amazon Prime free shipping). Plus, after you purchase it, you get $5 worth of eligible movies and TV shows from Amazon Video On Demand after you order your item. So essentially, you're getting the dvd gratis. Amazon offers a Free Amazon $3 mp3 Download Credit when you enter code GET3MP3S. Offer is valid until November 29th, so buy those mp3's this week. Most of my friends would not consider me a very "green" person. I'm not into the environmentalist movement, and I think much of the "green-ness" that's promoted by companies and even well-meaning organizations is really financially motivated, or related to a whole different type of green. Or greed. I don't understand why most of the time, recycled or green products cost more than non-green products. If it costs more, then frankly, it's not green to me. However, I am a huge fan of not letting things go to waste, and not buying brand new things when communities can pool their resources and save money, time, and stuff. This, to me, is the real "Going Green." In certain small Jewish communities, there is something called a gemach, which is usually themed (a bridal gemach, a baby gemach, a medical equipment gemach, a home-from-the-hospital gemach etc.) and is a repository of shared or passed along goods. For example, if an elderly relative is coming to visit, do you really need to buy or rent a wheelchair? If your sister is getting married, do you and all your female relatives want to spend money on peach colored silk gowns that you will wear once? What will you do with the perfectly good baby swing that your two-year old just grew out of? Gemachs take donations of goods that are in excellent shape from people who no longer need them and then pass them along to people who do. You don't need to be poor to take things from a gemach, but you do need to be smart. Because it is smart to not constantly have to reinvent the wheel, or buy new stuff, when someone else no longer needs theirs. Given that not everyone can avail themselves of a gemach, I'd like to introduce you to a national service where the working concept is the same: Freecycle.org. Sign up on their websites and enter your zipcode and join their lists. All the stuff on Freecycle is 100% free. Take it if you need it and can get it. And on the flip side of things, next time you are going through your kitchen and realize that you always hated that blender and have not used it more than once, post it on Freecycle, and give it someone who will love it. The last time I moved, I freecycled tons of stuff and was glad not to have been forced to relocate stuff I didn't want anymore, or throw out perfectly good things. Forget about your carbon footprint or handprint or pawprint. This, my friends, is truly going green. Get The Blind Side dvd for only $3.99 on Amazon (eligible for Amazon Prime free shipping). Plus, after you purchase it, you get $4 worth of eligible movies and TV shows from Amazon Video On Demand after you order your item. So essentially, you're getting the dvd gratis. Thanks to hip2save for the tip. Here's a program I've recommended before. I've been a member of MyPoints for over 12 years now; I've probably scored a thousand dollars worth of gift cards from them, if not more. They will send you a few emails a day and basically, you just need to click through their links. That's it. You don't need to read a single ad (once I'm done with the click, I just close the window and delete the email) and it takes about 10 seconds a day. Generally, you get 5 points for each link you click through. You will be surprised at how quickly these add up and how soon you'll qualify for a free gift card. If you have lots and lots of free time, there are other ways to score points, like filling out surveys, clicking on offers, etc. I don't do these, but you might want to; your points will certainly rack up sooner. I view programs like MyPoints as "passive income." For very little effort over time, you get something substantial, like a $100 Sears gift card that you can use to upgrade your home. If you need to put major effort into it, it's no longer passive; it's a pain in the neck, and your time is better spent working at an actual job. One word of warning: if you're counting on redeeming a gift card from MyPoints to make a purchase, the gift cards take approximately 3-4 weeks to arrive (as opposed to gift cards from American Express or Visa rewards, which take less than a week). We had to postpone buying a washer while we were waiting for our $300 in Sears gift cards to arrive, but they were well worth the wait. Remember, free usually = good. I check into these links about once a week to see what free samples they are offering. These are reliable free sample links; they won't sell your email address, or take you through fifty screens, or ask you how much money you make or force you to refer all your friends. They take your info, ask you a few questions, all on one 20-second screen, and the samples do arrive a few weeks later. They do ask for your birthday to verify that you're over 18; if you're not comfortable giving that info out, make something up. Right now, both Target and Walmart are offering a sample of Purina One (for either dog or cat), and Walmart is also offering a sample of Tena and Prilosec OTC. Enjoy. Ice.com has a range of very reasonable to very high-end jewelry. 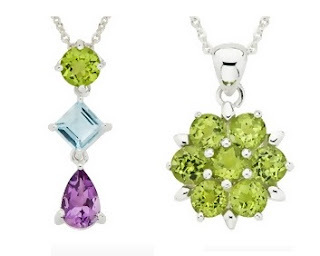 Here's a way for you to snag some of the pretty silver stuff at the lower end: this 3 carat amethyst, topaz, and peridot sterling silver pendant, and this 3-1/2 carat peridot sterling silver pendant, both with 18" silver chains. All gems are authentic, btw; Ice.com is a very reputable company, and I've purchased lots of jewelry from them. First, click here and add this necklace to your cart and then click here and add this necklace to your cart. These two pendants are on sale through these links, for "Thanksgiving Week." Once you've added these necklaces to your cart, if you're a first time buyer to Ice.com, create an account for yourself, or if you've been to Ice.com before, go ahead and log in. Don't check out! Once you're logged in to Ice.com, close all your open Ice.com browser windows. Then, if you haven't already, join Shop At Home (or log in, if you're already a member). They have a whopping 12% cashback on Ice.com right now. Once you've logged in to Shop At Home, search for Ice.com and click through. Make sure you don't click on any coupon links; click on the "Shop Now" green banner. When the Ice.com window opens, your items should appear in the cart, and your total should be $65 with free delivery. (If there is any other total there, you've clicked on a coupon; empty your cart, close all windows, and start again.) Complete your order. You will receive $7.80 cash back from Shop At Home, bringing the total on your purchase of both pendants to $57.20. Happy Chanukah; that's a steal. Dell Home just released another high value coupon code on its new (not refurbished) monitors. 30% off and free shipping on Dell Consumer LED Monitor with coupon code SF8HZ80?4L5LLW. Excellent deal; these are quality monitors. Sweeten it with 3% cash back at Shop At Home. Out of desperation for Shabbos, I ran to Stop & Shop today with my raincheck for Kedem Grape Juice, since they had run out of stock on that blissfully low $2.99 price right before Rosh Hashana. I had tucked it in my wallet right next to my precious family photo, for three whole months. I showed up to Stop and Shop, ready to wreak havoc on their Kedem supply, since the standard price for a 64 oz bottle is about $4.99+, depending on how much a retailer wants to get you for. Sidebar, if you live in Denver, apparently you can't get Kedem grape juice under six bucks unless you special order it through Cheapskate and her shipping contact. Sign up here for Shop It to Me. Then refer ten of your friends, and you will receive a $10 Amazon gift card from them. Chanukah's around the corner! One of my favorite online jewelry stores, Ross-Simons, currently has a few interesting discounts going. Depending on how much you spend, use whichever promo code gets you the sweetest deal. And of course, get an additional 8% cashback by going to their site through their link at Shop At Home. 25% off your entire order and free shipping with no minimum. Use code WELCOME. 30% off orders greater than $100 and free shipping, no minimum. Use code RH103602C or RH104074D. 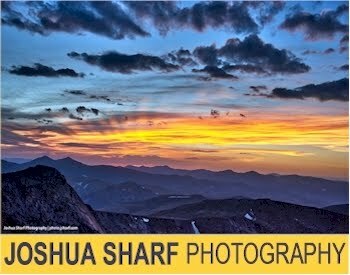 25% off all orders plus free express shipping (2 business days, usually starts at $17.95). Use code VISADEAL. Some of us are short on time; some of us are short on money; and some of us are short on patience. I happen to be short on all three. One thing I'm "long" on is food. I have my coffee, but it must be accompanied by something to munch on. This is before I even get to work. Once I get to my office and sit down, the absence of my three troops and their morning mayhem reminds me that my prior lukewarm coffee and half danish did not suffice. That's when I think of my beloved peach Chobani yogurt or Breakstone's Cottage Double perched on top of my handbag. Both are approximately the same price when on sale, roughly $1.25--expensive in my mind, for a single serving yogurty item--but how long they keep me satisfied (over 10g protein!) puts them at the top of my food priority list. So between my work schedule, budget, and dwindling patience, I make it my business to know what's on sale at my local supermarkets. I sit down on Saturday nights, go through all the circulars that got tossed onto my driveway--yes, that bag that most neighbors let biodegrade all season, and I plan my Attack. I chart each supermarket's best offers, and then make an educated decision as to which one deserves my business. Then I flip through my tattered coupon organizer and pull out every pertinent coupon. Even the expired ones...shhhh. I don't do movies or date night on Saturday nights. I strategize. Then, at some convenient point during the week of that sale, I will go "Power Shopping", as my 8-year old calls it. Cart loaded, coupons clipped to my list, I am a savings savorer. I won't even give the checkout guy my club card on my keychain until the deed is done. I pretend it's not in reach. When my total rings up to $165.08, I get that Vegas feeling in my stomach, hand the guy my keychain, and watch my total fall to its knees right in front of my eyes. $109.14 isn't brutal enough, so I hand over my killshot stack of coupons and wait. $92.57 works for me, so I swipe my rewards Visa and sign. Then, I run outta there like a bat outta Hell. I've told my friends how much I save when I Power Shop, and they laughed, "you have no life!" My answer to them was, "I've fed my family of five for the week, filled up my car with gas and had a mani pedi, all for less than you pay for your food bill." Who do you think had the last laugh? Now they bring in their bag of circulars instead of letting it biodegrade on the driveway, and they all want me to tell them whether Tide is on sale for a really good price or a dummy price. Saving money on such a necessity as food means there is often an extra few bucks left for self-reward/indulgence. And it's the little pleasures in life that help restore my patience. Go to Burt's Bees here, like them, take their rather silly quiz, and get a free sample. Shoppers math can be misleading. Sometimes, because of clever marketing, it's meant to be misleading. For example, what does BOGO really mean? Well, if it's Buy-One-Get-One-Free, that really means that you are getting a 50% discount on a single item. Do you want the item enough to pay half the amount of the original price for it? Sometimes BOGO means Buy-One-Get-One-Half-Off (like at Payless Shoes), which is the equivalent of getting a 25% discount (or less if the second item costs less than the first). Would you buy one of the item if you were getting a straight 25% off? Something to think about before you buy something thinking that it is "free," so it doesn't matter if it's a little overpriced. Coupons sometimes come in weird phrasings. For example Lowe's has a "$25 off of $250" coupon. So that's basically 10% off, yes? Yes and no. Unless you find an item(s) that costs exactly $250, you'll probably be buying more than that in order to meet the coupon requirement, bringing the percentage value of the coupon down. Whoa. Now it seems that the smallest size is the greatest value. And it is. Because the coupon is a fixed amount and value increase is based on a ratio. 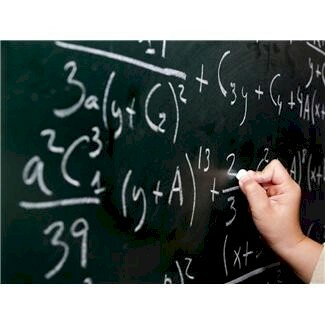 So your denominator (price) is shrinking, but your numerator (# ounces) is fixed. What does this translate to? Well, as a general rule (there are exceptions), if you have a coupon for a fixed amount (i.e. $3 off), it makes more sense to use it on the smaller-sized, cheaper item. The higher the coupon value, the more true this is. If you have a coupon based on a percentage (15% off), it makes more sense to use it on the largest sized item. Like McAfee on Facebook and you can get six month of their virus protection gratis. When my then ex-husband and I remarried (yes, we did that), we agreed to do some upgrading in our house. We weren’t about to tear down walls, but in sync with our fresh start, we wanted to make our home more comfortable and livable. Part of this venture included fixing up our kitchen, which sorely needed it. Our budget, however, was tight. Very tight. Don’t be married to one store. Keep your eyes peeled for sales and hooks like free delivery, 10% off for energy star, and seasonal sales. Our appliances came from Lowe’s, Home Depot, Sears, Amazon, and Costco. These stores usually will have competing prices on similar or same model numbers. Periodically search sites like Slickdeals.net to see if there are any regional sales at the big box stores. Home Depot takes Lowe’s coupons. Lowe’s take Home Depot coupons. Lowe’s 10% coupons are easiest to get; the post office has them in their change-of-address kits, or you can apply online for one if you are moving. I never go into either store without a handful of them in my purse. Usually, they will take expired coupons too. (They will also match each other's advertised prices, which comes in very handy if you have gift cards at one place, but the better sale is at the other.) Don’t neglect online coupon codes either. Always search for coupons before making any major purchase. Look at sites like RetailMeNot.com or just google away. Organizations like AAA offer excellent online discounts at Sears and Target, and WorkingAdvantage offers specific employee discounts if your firm is enrolled. Gift cards. Pay attention to your credit card points and your choices for redemption. If you have a large purchase coming up, put it on the credit card that will give you the best bang for your buck in terms of points and gift cards. Put anything and everything you possibly can on rewards cards, i.e. utilities payments, medical payments, etc. We bought a $1,300 French door refrigerator with $930 worth of gift cards saved over the year from credit card points; well worth the wait. Most of the gift cards came from our American Express cards, which start you off with sizable bonuses, usually 10,000 points or more, (which translates to a $100 Home Depot card). We also participate in MyPoints; for a few clicks a day, the points accumulate fairly quickly and the gift card selection is vast. I also belong to Swagbucks, another easy program, whose best rewards are their $5 Amazon electronic gift cards. We've accumulated over $200 in our Amazon account through Swagbucks. Rebates. There are generally two ways to get rebates. The first one is from the manufacturer, who might just be running a rebate promotion and you might just be lucky enough to catch it. Always search online for a rebate if you are buying a major appliance. The second is from the government. State and local governments as well as utility companies have been giving away huge green rebates on energy efficient appliances. We got $150 back on our front loading washer from our water utility, and had we waited another five months (which we weren’t willing to do,) we could have gotten an additional $150 from our state. At that point, we would have actually made money on the purchase of our washer. Stainless steel is stupid. I’m convinced that in twenty years, we will look back and view stainless steel as the harvest gold or avocado green of this decade. Just about every major brand charges nearly 10-20% more for the same appliance in stainless steel. Consider black instead. It gives a sleek, modern appearance, is easy to keep clean, provides a nice sharp contrast in light-colored kitchens, and will cost the same as white appliances. We got all of our major appliances (except for the washer) in black, and I love the contemporary look to my kitchen. Many of my small and less expensive appliances (my food processor, crock pot, urn, toaster oven) are stainless steel with black trim, and they go well with the large black appliances. If you’re really stuck on stainless for your major appliances, wait for the occasional stainless steel free upgrades. Scratch-and-dent places are generally not worthwhile. We bought a front loading washer from a Sears Scratch-and-Dent Outlet about five years ago. The washer was a bargain at about $450, but we always heard a strange noise when we ran it. Turns out the motor had something wrong with it and the washer lasted only about four years. I haven’t found too many great bargains at scratch-and-dent appliance places, though sometimes their overstock sections have good buys. Remember, there's a reason that an appliance winds up at a scratch-and-dent place, and you can only hope that it's just cosmetic. Ok, you want numbers? I gotcha numbers. Here’s how we did it. LG Front-loading 4.0 cubic foot, High Efficiency Washer, Model WM2050CW, white. MSRP $646. On sale at Sears for $540. Delivery/installation charge: $65.00 Tax $43 ($648 base) We paid $64. 24.8 cubic foot Maytag French Door Refrigerator, model #MFF2558VEB. MSRP $1299. On sale at Home Depot for $988. Plus 4 year warranty, $99. Plus icemaker connector, $10. Free delivery. Tax $65. ($1162 base) We paid $41. GE Self-cleaning radiant heat glasstop range/oven, model #JBP62DM2BB, black, MSRP $549, on sale at Lowe’s for $494, free delivery, $35 tax. ($529 base) We paid $226. Broan F403023 30-Inch Two-Speed 4-Way Convertible Range Hood, black, $47 on Amazon.com with free shipping (Amazon Prime promotion). We paid $0. Parenthetically, this same range hood sold at Home Depot for $102, and at Lowe’s for $78 . Note: I’m leaving my dishwasher upgrade out of this because my records on it are fuzzy, but we did the same sorts of shtick when we purchased that as well. Thankfully, our dryer is still intact, but unfortunately, our microwave just died. I’m on it. Go to Eucerin on Facebook, like them and click on the Skinfirst tab, for your free sample. New DSW code, through November 17th only: Type in 108 for $5 off. If your total is $35 or more after discounts, enter code SHIPR for free shipping (otherwise standard shipping is $7.95). Make sure you register for DSW Rewards first (if don't already have an account). Get an additional 8% cash back when you click through the Shop At Home link to get to the site. Macy’s released a high value savings pass: Click here and type in your zip code to print a Macy’s Pass good for $10 off your purchase of $25 or more, valid 11/16 or 11/17 and only until 1pm. Good on sale and clearance items too, but exclusions apply. Sign up here for 2 complimentary issues of Family Circle. No credit card required. Starbucks "12 Days of Sharing"
Starbucks has an upcoming “12 Days of Sharing” promo: text 12DAYS to 29943 to sign up (standard text messaging rates apply). You'll receive one special offer per day starting on December 1st. be written between November 15th and November 30th, 2010.
be at least 1 full paragraph long (900 characters). fall within these categories: Home & Garden, Family & Pets, Health & Beauty, Kitchen (excluding grocery items), Computers and Electronics. be about real products; inappropriate or bogus content will be removed. Gift cards will be sent out within 30 days of the program conclusion on November 30, 2010. The $25 offer is valid only for new joint, individual and custodial accounts with ShareBuilder Securities Corporation. Not valid for IRA or ESA accounts. Offer available to U.S. Residents only. The $25 account bonus will be applied to your account within 4-6 weeks after your first transaction. There is no fee to set this up; Sharebuilder accounts are free. Win-win. I've been trading with Sharebuilder for nearly four years now. I have a few hundred dollars deducted from my checking account automatically each month, and it is automatically invested in up to 12 different securities for just $12/month. They have other investing plans available as well, and you can change or cancel your plan whenever you like. Go to Dell Financial Services and receive $25 any flatscreen monitor when you enter code $25Monitor$DFS at checkout. Great if you've been looking for a spare flatscreen; keep in mind that these are refurbished. Their 17" monitors now start at $79.20, so you can snag one for $54.20! Shipping is $18. Get an additional 4% back when you go through the Shop at Home link. Perk for Sam's Club new memberships. Join by November 24th, and receive a $10 gift card good only on November 26 (Black Friday). If you've been thinking about joining, this is a nice incentive. Info on promotion is here. 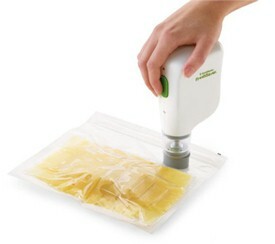 Currently, you can get the FoodSaver Freshsaver Handheld Vacuum Sealing System for ONLY $3.83, shipped. These are regularly priced at $19.99 + shipping. The packages of bags alone are $7.99. The FoodSaver FreshSaver Handheld system is cordless and rechargeable, no need to replace expensive batteries. It’s compact and easy to use. At the press of a button it vacuum seals airtight your FoodSaver Vacuum Zipper Bags and Deli Containers. Your final cost will be $3.60 (+ tax) shipped …and you’ll get 6% cash back (+ $5 if you're a new SAH member). 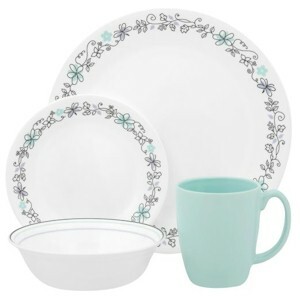 The following three Corelle Livingware 16 piece dinnerware set (4 place settings) are on sale at Walmart for twenty bucks. Have them shipped "Site to Store" and shipping is free. Corelle sets rarely go for less than $30, and when they do, the patterns are usually hideous. I actually think the Day Dream pattern here is sort of pretty. What can you use these for? Shower gift: I'd buy two or three of the same for a set of 8-12 place settings, but make sure the bride is okay with the pattern first. Extra set for Passover (nice gift for bride who is hosting her first Passover at home). Replacing the Corelle you bought 20 years ago, which is finally showing its age. Save a bundle at DSW Shoes. Register for DSW Rewards (if don't already have an account). Add shoes or boots to your shopping cart and proceed to checkout. Enter promo code COMEBACK to save $5. Enter promo code DSWSAVE to get 30% off one regularly priced item. If your total is $35 or more after discounts, enter code SHIPR for free shipping (otherwise standard shipping is $7.95). Get an additional 7% cash back when you click through the Shop At Home link to get to the site. 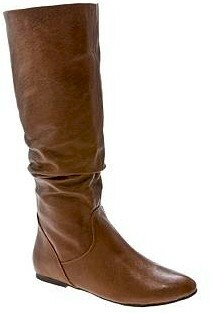 I bought these pretty $80 boots. Started out at $79.95 + $7.95 s&h + $6.79 CO sales tax = $94.69. I saved 46%. Not bad. Victoria's Secret: Get a free "Secret Reward Card," minimum value of $10, that is redeemable in December, with ANY online VS purchase in November. Here is the link. Save an additional 2% at VS when you shop through the Shop At Home link. One Hanes Place is having a BOGO sale on all of their bras. Standard delivery is $7 but free shipping on orders more than $75, so it might pay to stock up. Get an additional 5% back when you shop through the Shop At Home link link. 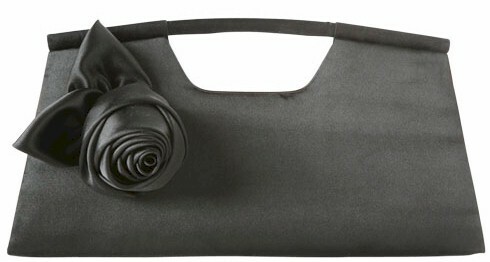 This too-cute clutch for around eight bucks. Get this ridiculously cute evening clutch for less than ten bucks, when you team up with a friend or buy an extra as a gift. I usually don't buy shoes from Payless because I've found that cheap shoes are often not worthwhile. I end up throwing them out less than a year after I buy them. BUT, I do like their accessories, especially their handbags. I'm a pocketbook junkie, and while I do love getting bargains on the European imports and brand names, I also enjoy the occasional low-priced, exceptionally cute bargain, and Payless has got a bunch of these. They are currently running their BOGO promotion...buy one and get one half off. I bought two of these black clutches, priced at $15, and I stacked the BOGO discount with a 20% off coupon, 30534, and had it shipped to my local store, so I didn't pay shipping charges. Total cost per bag: $9. I'm giving one to a girlfriend for Chanukah. But wait! There's more! I got 8% cash back by shopping through the Shop At Home link first. So total actual cost comes to $8.28. Here are 20% off promo codes for Lowe's, from their pre-Black Friday event. They only work on these specific items. Shark 2-Sided Steam Mop Item #: 314416 | Model #:S3501 ($100) promo code SH48ARK. 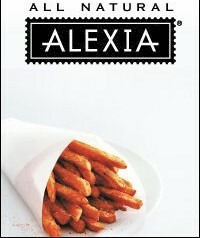 Click on the Alexia Facebook page, "Like" them and vote, to receive their $1 printable bricks coupon good for any Alexia product. They make great gourmet fries. Click here and get a $5 coupon off of purchase of a $30 Itunes multipak (six $5 cards). Great for Chanukah or Xmas. Expires 11/13/10. Go to the RadioShack page on Facebook by clicking here, "Like" them and you'll get a printable $10 off of $40 purchase. What do you do with all those samples? I get a lot of free samples. A lot. So what is there to do with all the packets and little bottles and tubes? Use them. I actually like trying out new shampoos every now and then. Hoard them, arrange them nicely in a basket, and put them in your guest bathroom. I actually got this idea from a friend of mine who did this with the tiny toiletries and soaps she got from her many stays in different hotel rooms. It's a great little nicety for overnight guests. Take them with you when you travel. When I travel and stay with friends, instead of overspending on travel sizes, I just grab some samples of shampoo and conditioner. Because they are in one-time-use foil packets, I don't need to bother dragging them home, either. Welcome or other occasion baskets: a women's organization in my community used to have me put together welcome baskets for new brides, and I used to load them up with fancy makeup and shampoo samples, as well as other toiletries I got on sale. Truth is, there are lots of occasions for you to put together nice "girlie" packages. Another time, we used them in door prize "goodie bags" at a women's organization event. Here's a link to how another blogger uses samples to make up holiday gift baskets. Lotion samples: I keep these in my car. When I'm stopped at a really long red light, I take care of my hands, which could always use a little lotion in our dry Colorado climate. Detergent samples: when our washer broke a few months ago, and I had to lug our wash to the laundromat for a few weeks until we found the washer we wanted, instead of dragging heavy bottles of detergent, I took the many Tide sample packs I'd accumulated. I have friends who always wash their comforters and blankets at laundromats, and they use the samples there as well. Have some more ideas for using samples? Write to me at frugalskate@gmail.com. 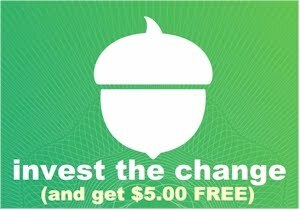 Get a $0.50 coupon for signing up for their newsletter. Driscoll's grows nice berries, and I've never seen a coupon for them before. Use it a supermarket that doubles coupons up to a dollar (like King Soopers) for maximum value. You can print this twice. This is an interesting deal. Give five different Facebook friends an Amazon mp3 giftcard worth $1 and you will receive a $5 mp3 gift card from Amazon in return. So it's basically a wash for you, and you've given five friends a gift. First 10,000 customers only. You can listen to an Amazon mp3 on an Ipod, btw. Get a free "Secret Reward Card," minimum value of $10, that is redeemable in December, with ANY online Victoria's Secret purchase in November. Here are the terms and here is the link. * Add any in-stock merchandise to your shopping bag now through November 30, 2010. * Secret Reward Card will be included with your order. * Valid through 11:59 pm EST on November 30, 2010, while supplies last. * Secret Reward cards can be redeemed December 1 - 19, 2010. One Secret Reward Card per order. Gift cards, gift wrap and kits, shipping, handling, and taxes do not qualify toward the offer. Offer subject to adjustment due to returns, cancellations and exchanges. Not valid on previous purchases. We cannot replace lost or stolen cards. Secret Reward Card is redeemable December 1-19, 2010 in stores (excluding outlets), online or by phone. Secret Reward Card has no value until December 1, 2010. We regret that we cannot divulge card's value; it will be revealed at checkout. Orders shipping outside the U.S. may not be eligible for offer. We regret that this offer is not valid for customers in Canada. See back of Secret Reward Card for details. Offer may be modified or discontinued at any time without notice. Purina dog or cat food sample, here. Amazon offers a Free Amazon $3 mp3 Download Credit when you enter code STUDENT3. Offer is valid today only, so buy those mp3's now.